The Seco 13 Foot Aluminum Builders Grade Rod is an ideal leveling accessory used to determine ground elevations. 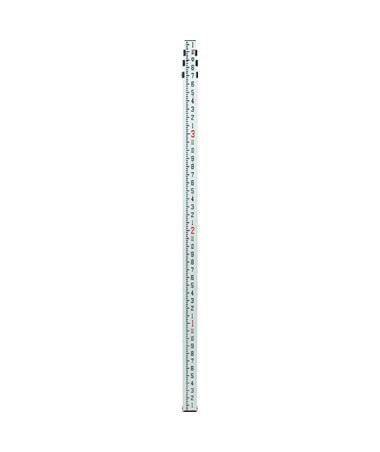 With an aluminum alloy construction, this leveling rod consists of 4 sections that adjust up to 13.12 feet. 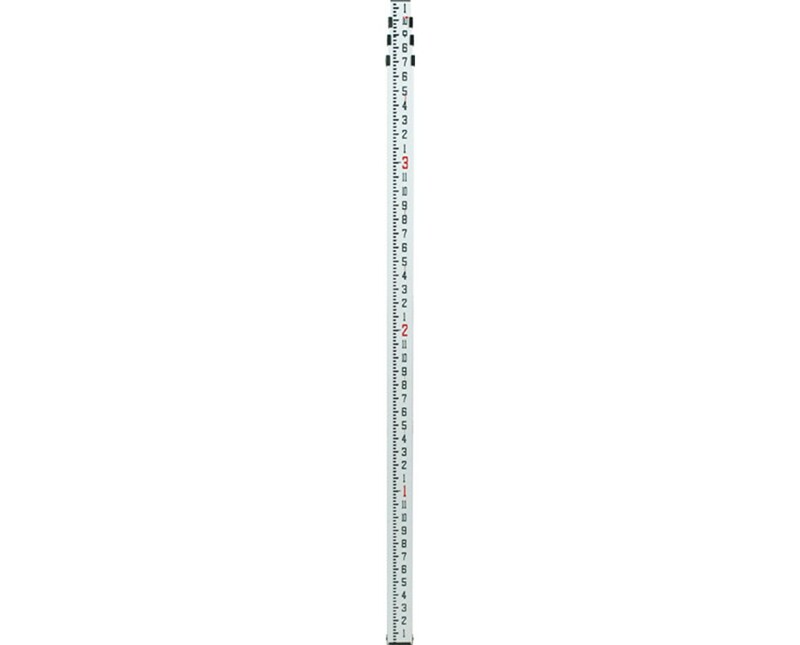 It has sharply defined graduations that are displayed in feet/tenths and features a back measuring gauge that allows height to be read at eye level. For increased stability, this grade rod features long lasting polycarbonate buttons that lock each of the 4 telescopic sections in place when it's extended. It is designed to endure tough field conditions as it is made with an anodized finish and a silk screen with moisture-resistant ink. This surveying rod will enable users to get the best leveling results in any environment with its durable features and solid aluminum construction. A bubble level and a carrying bag are included. A 1-year warranty is also included.